Wonderfully developed and incredibly strong son of the Governor. This extremely masculine youngster convinced during the KWPN licensing in s-Hertogenbosch with outstanding trot. Galantheo carries himself uphill with a lot of power and with a balanced rhythm. His good walk and powerful uphill canter complete his overall quality as a future dressage horse. Sire Governor is double vice world champion. In Ermelo he won the silver medal in 2017 for six-year-old dressage horses and in 2018 for seven-year-old horses. He was ridden by Adelinde Cornelissen. As a young stallion he was the reserve champion of the KWPN licensing and winner of his stallion performance test. Cornelissen's successful horse Parzival is a full brother of Governor's mother Orleans. Out of his first crop of foals, offspring were approved in the Netherlands, Germany, and Sweden. His son Kremlin MD was young champion stallion of the KWPN licensing and was awarded premium stallion of the Danish Warmblood. Governor’s offspring stands out for their modern exterior and good movements. Damsire, Rousseau, was reserve world champion of the young dressage horses in Verden in 2003 and was three times in a row sire of the Champion stallion of the KWPN licensing with Wamberto, Blue Hors Zack and Ampère. 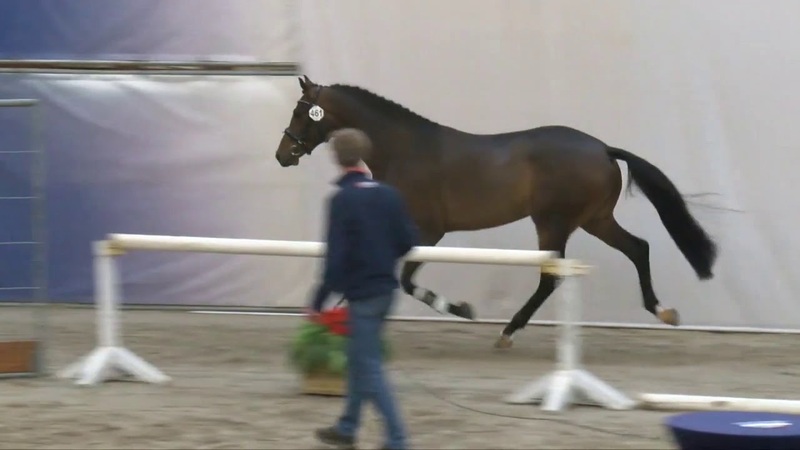 Flemmingh counts as a supplier of international top horses like Krack C (Anky van Grunsven) or Lingh (Edward Gal). Flemmingh produced the young stallion champion of the Oldenburg licensing in Vechta in 2009. Dam Zerlinneke finished her mare performance test in the Netherlands with very good marks. The dam line produced several internationally successful Grand Prix dressage horses such as Wenicienta (Dominique Filion, Netherlands) or Rock'n Roll Star (Philippe Limousi, France). In addition, the dam line unites other dressage and show jumping horses that are successful up to the advanced level, such as El Corrado (Amber Fijen, Netherlands). Galantheo at the stallion show on 09/02/2019. Galantheo at the KWPN stallion licensing.